Neuromancer is an interesting book – I had to go through most of it twice before I cottoned on to what the plot was. Normally, this would be a major issue for me. After all, shouldn’t it be fairly obvious what a book’s plot is? But actually, the novel’s randomness and its refusal to answer questions works well with its themes: just as the main character can sometimes not distinguish between reality and what is happening in his own head, so it takes you, as a reader, a while to understand what is going on. And, by a while, I mean most of the book. The novel is set in a future world in which virtual reality has grown to become a much more immersive experience. It follows Case, a young ex-computer hacker who had his central nervous system (which is essential for working in the matrix), damaged by some previous employers he had robbed. He is searching for a way to repair that damage so that he can return to the matrix, but this seems to be an impossible feat. Luckily for him, he is hired by an ex-army man who wants him for “a job” (exactly what the job is is, I think, never really specified at the time). The man in question is incredibly wealthy and has the resources to fix his broken systems, as well as take him around the world, and into orbit, in order to complete the job he’s been chosen for. Gibson’s imagination, in creating the various cities and space habitats that litter his universe, is admirable and intricate, and the book is worth reading for his descriptions of future styles and mores. The novel’s characters have the strange, slightly disconnected feel to them that I have often noticed in high science-fiction, and which can be a bit of a turn-off (if you’re looking for people to have feelings of happiness, love, or motivations beyond themselves, this is not the novel for you). I listened to Elizabeth is Missing on Audible, which in retrospect may not have been the best idea. The narrator, Maude, is suffering from dementia, and listening her repeatedly forget things and ask the same questions over and over again was somewhat catching. Over the last few days I have found myself concentrating extremely hard on small details like tube stops, and forgetting the names of things. This is, of course, a sign of how excellent this novel is. 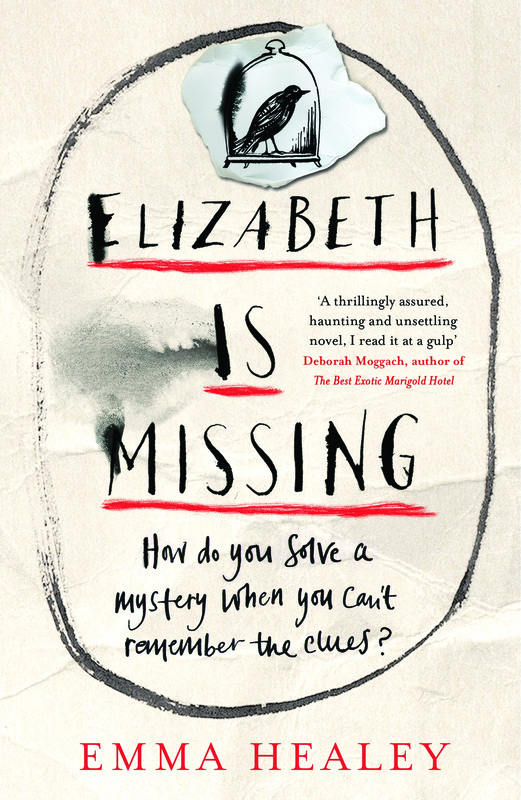 The plot of Elizabeth is Missing is quite sparse – Maude’s friend Elizabeth isn’t at home, and hasn’t called. Maude knows this because she make notes to remind herself that Elizabeth hasn’t called, as she notes everything she thinks might be important. She tries to go and find Elizabeth, but nobody seems to find it concerning that Elizabeth’s missing. Maude can’t remember the present very well at all, but she can remember her childhood from 1946, when her sister Sukey also went missing. Flashbacks to the months after Sukey vanished are interspersed with Maude’s hunt for Elizabeth, and she often gets confused between what she’s remembering and where she is now. This was an excellent book. Maude is an incredibly well developed character (a lot of the time she reminded me a great deal of my grandma, who holds a number of the same opinions). She is one of the rare characters with whom you have feel incredibly sympathetic, while at the same time feeling frustrated – when she says for the tenth time that she might like a slice of toast when you know she’s not meant to eat so much – she overeats bread because she forgets she isn’t hungry – it is easy to get annoyed at her for something that’s obviously not her fault. Maude is surrounded by people who get annoyed at her for forgetting things, and she forgets why they are annoyed. I highly recommend this book: it has a firm grasp on the nature of growing old, and of forgetfulness in particular. I also recommend that you either read it all in one day, or in a non-immersive way. While this is a book I feel everyone should read, prolonged exposure may be dangerous to the mind. I was pleasantly surprised by this book. One of my favourite films is the adaptation made of it in 2006, which is both beautiful and heartbreaking. For years, however, I’ve been under the impression that I would really dislike the novel. The film has a sort of slow, ponderous beauty to it which I thought might be stodgy and dry when written down. But to get to the matter of the story. 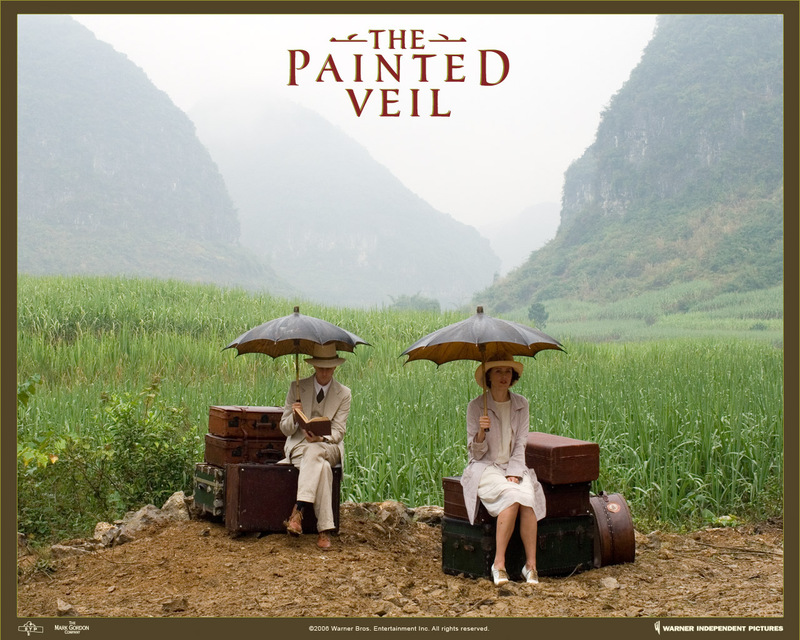 It is the tale of a youngish woman in the 1920s who, realising that she is running out of time to make a successful marriage, marries a government bacteriologist who works in Hong Kong. He loves her, but is incredibly awkward and shy, and we never really get to grips with what he is thinking. Being bored, she has an affair with a far more attractive man. Her husband finds out and makes her a deal: either he will divorce her (which would have been a massive disgrace in those days), or she can come with him to Mei-tan-fu, a part of mainland China which is suffering from cholera. She chooses to go with him. At this stage the film and novel somewhat get away from each other: in the first, she undertakes work with the local nuns and *SPOILERS* falls in love with her husband, in the second she undertakes work with the local nuns and *SPOILERS* begins to find a sense of herself which is independent from men and from what her mother has told her. She also does not fall back in love with her husband, seeing him until the end as somewhat malevollant. 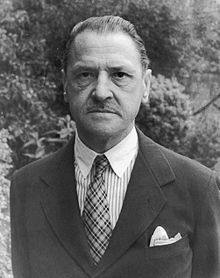 I think Maugham might be the grimmest-looking author I’ve put on this blog. Maugham (who, by the way, seems to have had an amazing life, being first a doctor, then a novelist, an ambulance driver in WWI, and a spy), writes at the beginning of the book that the story is based on another story which he learned from a young woman called Ersilia who was teaching him Italian. There are some lines in Dante’s Purgatorio which Ersilia told him related to Pia, a gentlewoman of Siena whose husband suspected her of adultery and who took her to his castle in the Maremma where he was sure she would die of the noxious vapours (when she did not, he threw her out of a window). Sometimes the inspiration which authors get for their stories is really fascinating, and while it seems that Maugham’s book fits more closely with his original inspiration I think that the film is still well worth watching. Nevertheless, and surprisingly to me, I think I prefer the novel to the film. I found this delightful little book when I was wandering aimlessly around the Forum library in Norwich. 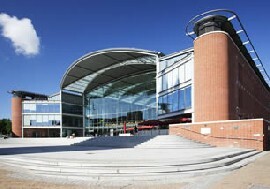 The Forum is fantastic, by the way, and if you live in the East of England (or are visiting) it is well worth going to. In any case, the book confused me at first. 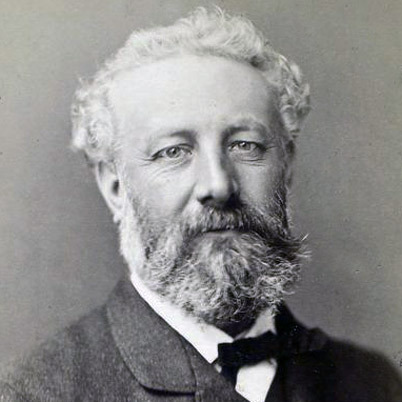 I haven’t read any Jules Verne before, but I was pretty convinced that he wrote science fiction. And yet, here was I, reading a book with a title that sounds like gothic horror, with a plot that reads like gothic horror, and with characters who could only belong in a gothic horror story. The Castle in Transylvania is very short, and I will try not to give too much of the plot away. 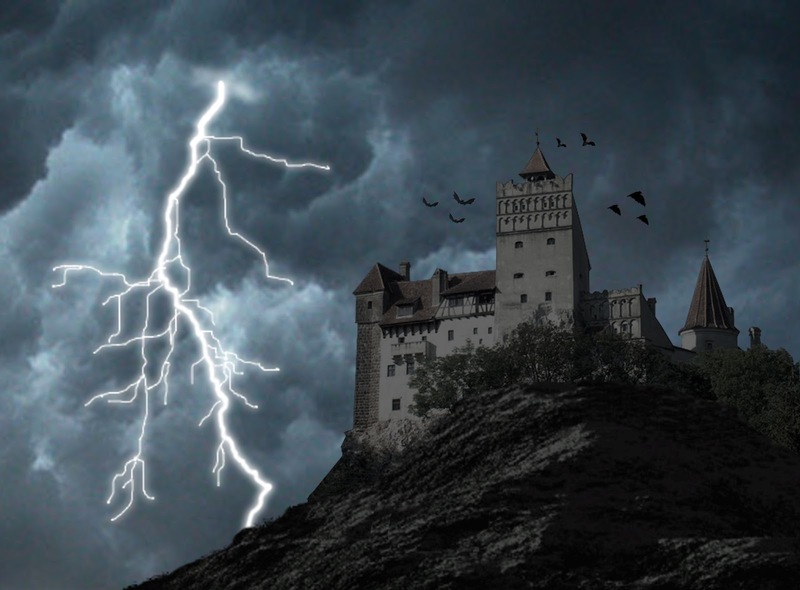 It takes place in a village in Transylvania, which is near to an abandoned castle. The villagers maintain all of their superstitions, which include a deeply-rooted fear of the castle. None of the villagers would dare to go near it. Also, it takes six hours to get there. That is, until the local shepherd notices that there is smoke coming from inside the castle. He becomes convinced that the castle is inabited by spirits. A forester and the local doctor (who has always pretended to be immune from the villagers’ superstitions) go to find out what is going on – with dire consequences. I really loved this book. It’s a fairly easy and quick read, with some pretty standard gothic themes. However, the twist at the end makes it all rather wonderful. If you can find a copy, definitely go for it. 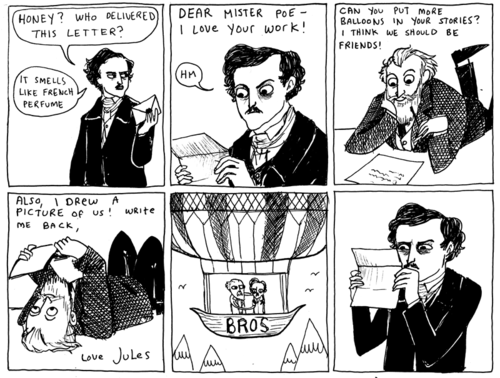 Also *SPOILERS* it’s not actually a gothic horror story. It’s science fiction. I knew I could depend on Verne.